Harry Smith has a busy commercial practice with a particular emphasis on construction and engineering, energy, professional negligence, and insurance work. He regularly appears as advocate in the TCC and in arbitration hearings. He is also junior counsel in a number of heavy international arbitrations. Counsel for the successful claimants in Synergy Gas Services v Northern Gas Heating Ltd  1 BLR 132 and JonJohnstone Construction Ltd v Eagle Building Services Ltd  EWHC 2225 (TCC), both of which concerned challenges to the enforcement of adjudication decisions. Counsel for the successful appellant in a party wall appeal concerning the renovation of the Brighton Dome. Junior counsel for the successful defendant in Herons Court v NHBC Building Control Services Ltd  EWHC 3309 (TCC), concerning an attempt to extend s. 1 of the Defective Premises Act 1972 to approved inspectors. Junior counsel for an insurer in a £40 million professional negligence dispute in the Commercial Court, now settled. Junior counsel in international arbitrations concerning, variously, projects in Qatar, Dubai, Bahrain, Saudi Arabia, South Africa and Kazakhstan. Harry is a contributor to the most recent editions of Keating on Construction Contracts and the loose-leaf Keating on JCT Contracts, and has published a number of articles on the Practical Law Construction and Arbitration Blogs. He also co-authored the article ‘Groving Pains’ with Matthew Finn, which appeared in the January 2019 edition of KC Legal Update. Synergy Gas Services v Northern Gas Heating Ltd  1 BLR The defendant resisted enforcement of an adjudicator’s decision on grounds of alleged breaches of natural justice. Harry appeared as sole counsel for the successful claimant. JonJohnstone Construction Ltd v Eagle Building Services Ltd  EWHC 2225 (TCC). The defendant resisted enforcement of an adjudicator’s decision on the grounds that the decision was made in excess of jurisdiction. Harry appeared as sole counsel for the successful claimant. CMCC. Harry appeared as sole counsel for the first defendant in a claim for water damage arising from the failure of a drainage system in exceptional storm conditions, and obtained reductions in the costs budgets of the other parties. Application for summary judgment. Harry appeared as sole counsel for the claimant in an application for summary judgment in a claim for fees for pre-construction services amounting to just over £1 million. Party Wall appeal (Brighton County Court). 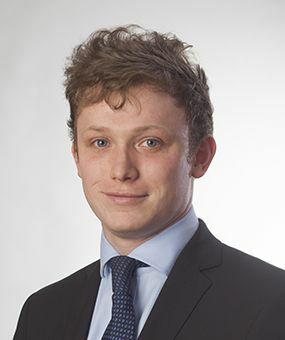 Harry appeared as sole counsel for the successful appellant in a case about the enforceability of a party wall award arising out of damage caused during the renovation of the Brighton Dome. Harry’s submission that the award was made in excess of jurisdiction was accepted and the award set aside. International arbitration hearing (Geneva). Appeared as junior counsel (led by David Thomas QC) for the claimant subcontractor in a substantial claim concerning a natural gas processing plant in Qatar. Harry cross-examined the respondent’s quantum expert. Domestic arbitration hearing. Harry appeared as sole counsel for the successful claimant in a commercial refurbishment final account dispute. His client succeeded on its claim and the respondent’s counterclaim (put at four times the value of the claim) was dismissed in its entirety. 2-day trial (Birmingham First-Tier Property Tribunal). Harry appeared for leaseholders in a service charge dispute arising in connection with a substantial development in Birmingham involving complex limitation issues. Sole counsel for the successful claimants in Synergy Gas Services v Northern Gas Heating Ltd  1 BLR 132 and JonJohnstone Construction Ltd v Eagle Building Services Ltd  EWHC 2225 (TCC), both of which concerned challenges to the enforcement of adjudication decisions. Urgent advice on whether to resist enforcement on grounds of excess of jurisdiction. Urgent advice on whether to resist enforcement on grounds of breach of natural justice. Drafting adjudication submissions on behalf of the referring party in a commercial fit-out final account dispute. Drafting adjudication submissions for a subcontractor in a substantial adjudication concerning claims for measured work, variations, and loss and expense arising from delay, and involving detailed submissions on the scope of the adjudicator’s jurisdiction. Drafting adjudication submissions and appearing for responding party at a contested hearing before the adjudicator in a steelwork final account dispute. Written advice on whether to pursue a claim via adjudication as opposed to other dispute resolution options. Counsel for the homeowner of a substantial property in a claim against an architect relating to the negligent design and inspection during construction of roofing works. Counsel for the employer in a claim against an architect for negligent design of a substantial London home. Counsel for a building contractor in a claim against an architect for negligent design of a commercial complex. Counsel for a building contractor in a claim against a design professional for negligent design of the façade to commercial premises in a shopping centre. Counsel for a subcontractor in a claim against an M&E designer for negligent advice as to the heating load of a building. Counsel for a property developer in a claim against an asbestos surveying firm relating to negligently conducted surveys of commercial warehouses. Appearing as sole counsel for the successful appellant in a case about the enforceability of a party wall award arising out of damage caused during the renovation of the Brighton Dome. Advising, and appearing for, the first defendant in a claim for water damage arising from the failure of a drainage system in exceptional storm conditions. Acting (as junior counsel to Samuel Townend) for an insurer in a claim concerning fire protection in a block of flats. Advising on the passing of property and risk in a complex dispute concerning the insolvency of a flooring supplier. Advising a London local authority as to the merits of a claim against a building contractor in the context of a project to construct a library. Preparing court pleadings in various domestic and commercial defects claims. Two very substantial disputes concerning delays and disruption to the erection of skyscrapers in Dubai. A dispute about an oil field in Kazakhstan. A dispute concerning a natural gas processing plant in Qatar. A dispute concerning a power plant in South Africa. A dispute concerning a new underground metro system in Saudi Arabia. A dispute over a micro-tunnelling project in the Middle East. Junior counsel to Rebecca Sabben-Clare QC for an insurer in a £40 million professional negligence dispute (now settled). Advised a building contractor facing a substantial claim from an insurer as to how best to mount a challenge to the insurer’s standard terms of business. Advised an insurer as to the nature of a building contractor’s right to suspend work in the absence of a valid less notice under the provisions of the amended Housing Grants, Construction and Regeneration Act 1996. Represented an insurer in domestic arbitration proceedings concerning a claim for an indemnity in respect of defective work. Drafted submissions regarding the extent of the arbitrator’s jurisdiction in the context of an arbitration between an insurer and a firm of builders. Advised an insurer as to the potential impact of various statutory requirements on the scope of risks covered by the wording of its insurance policy. Junior counsel for main contractors in two very substantial disputes concerning delays and disruption to the erection of skyscrapers in Dubai. Junior counsel for the employer in a dispute about an oil field in Kazakhstan. Junior counsel for a subcontractor in a dispute concerning a natural gas processing plant in Qatar. Junior counsel for a subcontractor in a dispute concerning a power plant in South Africa. Junior counsel in a dispute concerning a new underground metro system in Saudi Arabia. Junior counsel for a large engineering firm in a dispute over a micro-tunnelling project in the Middle East. Counsel for the successful insurer claimant in domestic arbitration proceedings concerning a claim for an indemnity in respective of defective building work. Counsel for the successful claimant in a commercial refurbishment final account arbitration. Acting (as junior counsel to Alexander Nissen QC) in an adjudication concerning the main contractor’s entitlement to an extension of time in a dispute concerning a substantial central London development. Harry has acted numerous mediations concerning, amongst other things, the collapse of the frontage of a large residential property; cracking to a substantial extension arising from defective foundations; a dispute over fees payable in respect of interior design services; and the final account due in respect of construction and landscaping services. Acting (as junior counsel to David Thomas QC) in a dispute concerning the enforcement of a performance bond in circumstances of the contractor’s insolvency. Drafted Particulars of Claim seeking enforcement of a performance bond as security against a building contractor’s impending insolvency. Advised on the enforceability of certain bonds in the context of a large waste management construction project. Counsel for the successful appellant in a case about the enforceability of a party wall award concerning damage caused during the renovation of the Brighton Dome. Harry’s submission that the award was made in excess of jurisdiction was accepted and the award set aside. Counsel for leaseholders in a 2-day trial in the Birmingham First-Tier Property Tribunal concerning a service charge dispute involving complex limitation issues. Advised a leaseholder as to the merits of a claim arising from the alleged unfitness for habitation of the leased property. Advised a management company as to its prospects of successfully defending a complex claim arising pursuant to a determination given by the First-Tier Property Tribunal regarding the reasonableness of the service charges it had levied in previous years. Keating on JCT Contracts, loose-leaf. Keating on Construction Contracts, 10th Edition (and all supplements). ‘Groving Pains’, KC Legal Update, January 2019 (co-authored with Matthew Finn). ‘Don’t wind me up’, Practical Law, June 2018. ‘An erosion of the Fiona Trust “one-stop shop” presumption?’, Practical Law, Feb 2018. ‘Employer couldn’t recover overpayments made to contractor’. Practical Law, Feb 2017. ‘Concurrent delay – the “Saga” continues’, Practical Law, Aug 2016. ‘Estoppel by convention: a shield or a sword?’, Practical Law, Oct 2015. In his spare time, Harry enjoys playing the piano and skiing. His attempts to do both simultaneously have so far met with failure.